Blue Light in Focus: Are Your Eyes at Risk? More and more patients are asking about how blue light may be affecting their health. With stories about blue light exposure and possible risks frequently in the news, it’s important to understand what high energy blue light is and why you should protect your eyes. What is High Energy Blue Light? Blue light is simply part of the spectrum of light that we can see. The “high-energy” part of blue light refers to the intensity and is based on where it falls on the spectrum. Daylight is high in this type of light, and it’s what wakes us up when we rise in the morning as we experience sunlight. Blue light is crucial for our processing of color, and in the right balance it can be good for our health to set our circadian clock and sleep/wake cycles. 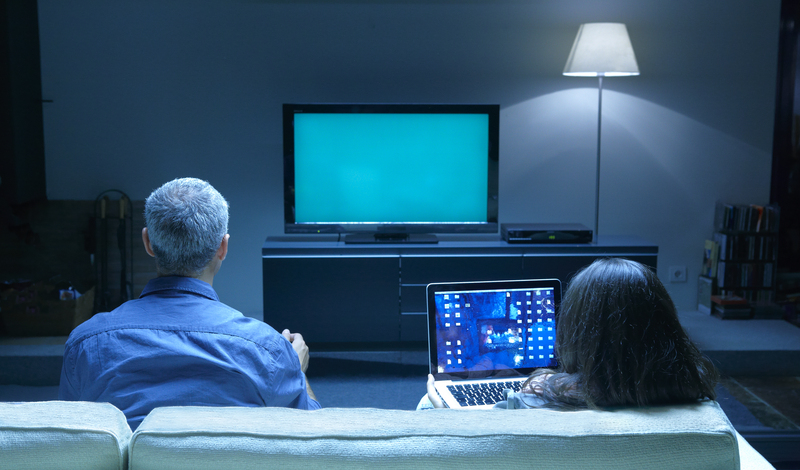 Most patients have heard about blue light because media articles frequently highlight certain kinds of blue light as causing sleep disturbances. Americans are notoriously bad sleepers, with many vices and personal habits that can interfere with getting a full night’s rest. Increased exposure to blue light and especially screen time with electronic devices at night are purportedly the biggest offenders. The reality is that blue light comes from many sources. The largest source of high-energy blue light is the sun, and electronic screens and indoor CFL/LED lighting emit a fraction of what the sun emits. Still, with more light sources relying on blue light for intensity and clarity, it leaves people wondering if they should opt for eyewear that reflects some of the higher energy rays. Most people are aware that we have to protect our eyes from bright sunlight because it can cause eye problems as we age. The issue with blue light exposure is that high-energy blue light alone doesn’t make us uncomfortable like glaring sunlight does, so few people opt for special glasses to be protected. How do I Reduce My Risk? The good news is that there are options for people who would like to block or filter some of the high-energy blue light waves that are linked to eye health problems. Blue light blocking lenses or blue-reflecting lens treatments may help you with other problems, like eye fatigue and sleep disturbances, but the main concern is updating your eyewear and your habits to help lower your risk for cataracts and macular degeneration. Talk to us if you have questions about what products we carry, and how your everyday eyewear can ensure your eyes are comfortable and protected!